If you have a small business, you may or may not have a security camera system installed. Perhaps you have a small staff, and if you’re not in the retail business, it’s likely you may not need a camera onsite. However, if you own a construction, commercial, or industrial site, there is a lot of ground to cover and monitor with no camera. 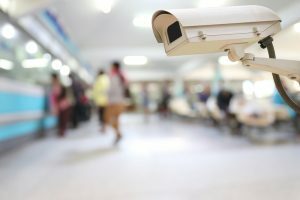 Even if you have an onsite security guard, no one person can cover an entire site at once, and it becomes necessary to have a security camera system installed to protect your property and your livelihood. If you’ve been wondering who is the best at installing commercial and industrial security camera systems in Orange, then look no further than Empire Technologies. We are experts in all types of security cameras – from your smallest home unit to the largest industrial unit. If you own or work on a large site, then security cameras especially made for commercial or industrial environments are your best bet. We have video surveillance systems made just for construction sites, so you can keep an eye on your perimeter even if no one is on the premises. These also work well for industrial or commercial sites as well, depending on the nature of your business. You may also want to add other smaller cameras throughout, such as CCTV units. One of our experienced techs will be more than happy to come out to your site, survey the perimeter, and give you a free estimate and consultation based upon what your needs are. For friendly, excellent service when it comes to installing commercial and industrial security camera systems in Orange, call Empire Technologies today at (714)422-0431 to speak with a professional member of our staff.